The 2016 U.S. election was not exactly the most secure affair. Even though tech companies and lawmakers are still sorting out what happened, that’s not stopping the state of West Virginia from thinking big and bold in 2018. 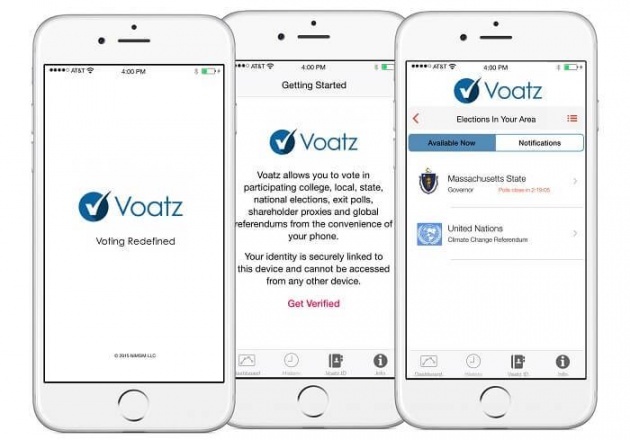 According to CNN, the state plans to let soldiers who are permanent residents of the state but are serving overseas vote via their smartphones using a blockchain voting app called Voatz. It will mark the first time U.S. citizens can vote via mobile app. To use Voatz, soldiers will first need to prove they are who they claim to be. The registration process involves uploading a photo of their government-issued ID and a video of their face, taken like a selfie. The app’s facial recognition software will look at both the photo and video to ensure they depict the same person. After this verification process, the soldiers will be all set to cast their vote. Once they do, the app anonymizes the ballots and records the votes on a blockchain, a secure digital ledger.